Nikon has just officially announced the Nikon D810, a high-resolution FX DSLR that will be replacing the D800/D800E duo launched in 2012. While the D810 features the same 36.3-megapixel sensor resolution as the D800, it has received a host of improvements in many key areas, including still imaging, performance, video, and autofocus. Like the D800E, the D810's sensor does not include an low-pass filter. Also, the D810 has received the new EXPEED 4 image processing, which is 30% faster than the EXPEED 3 chip found in the D800/D800E. Thanks to this, the D810 is receiving many of the same enhancements that were rolled out in the D4s earlier this year, and then some! The D810 will start shipping on July 17th and it is already available for pre-order at B&H for $3296.95- the same price as the D800E. Read on for a detailed breakdown on what's new in the Nikon D810. The features listed below are new or improved compared in the Nikon D810 compared to the D800/D800E. While many of these changes are primarily geared toward videographers and live view users, the performance enhancements make the D810 considerably more versatile in the field than the D800 or D800E. Many reviewers complained about the slow 4FPS framerate in the old cameras, and Nikon addressed this by bumping the burst mode up to 5FPS in FX mode and a respectable 6FPS in 1.2x crop mode or DX mode. The EXPEED4 processor and addition of a small RAW format will also make life easier for users that make frequent use of burst mode, and the smaller RAW format will save you some disk space while still delivering better image quality than JPEGs. The better battery life won't hurt, either, as the D800/800E were power hogs in live view mode. The D810 also delivers some handy features for the most demanding photographers: faster autofocus, ground area AF, and new white balance and metering options. From an image quality point of view, it will be interesting to see how the D810 deals with noise, especially at the new low ISO settings (32 and 64). While the improvement in image quality may be minimal, when combined with the other enhancements that the D810 has received, it may be a more compelling upgrade for users who skipped the D800 or D800E for their somewhat slow performance and big files. JPEG shooters will also enjoy the new Clarity Picture Control setting. 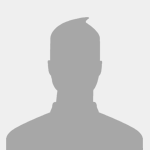 For more product photos and the full D810 specifications, visit its entry in our camera database. 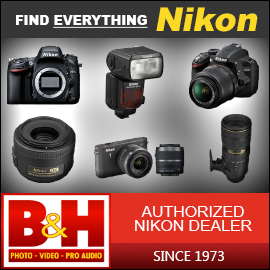 It's evident that Nikon is becoming increasingly competitive in the HDSLR market. 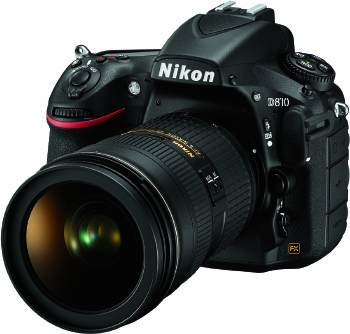 The D810 is Nikon's best HDSLR to date, and it is therefore also being sold in a "filmmaker's kit" that includes 3 prime lenses (the Nikkor 35mm, 50mm, and 85mm F1.8), Nikon's external mic (ME-1), an external video recorder, 2 ND filters, an HDMI cable, and 2 extra EN-EL15 batteries. Convinced? Head over to B&H and pre-order your D810 now, or wait for our comparative review of Nikon's latest FX body. I love my D800E but I like the improvements of this successor. Theres so many improvements but what stands out for me is the ISO, frame rate improvement, focus improvement which was already fast in the D800E, and Clarity Control. Can't wait until its available. Well I guess there will be some D800 and D800Es listed in ebay now. Is Nikon offering this as a prize for any up and coming photographers? I would love to have the opportunity to shoot with it, but the cost is prohibitive. I'm not going to sell my D800E it will now become my backup. Just going to try a little harder at selling my Pentax k-3. The positive thing about this D810 release is that the D800 is 450$ off at one of the camera stores here now. So someone's going to get a deal. My D800e stays as well. I may look at this when more paying gigs show up. But for now, I stick with what I have for work.